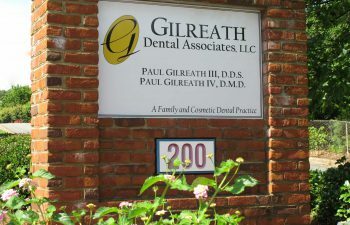 Dr. Gilreath is proud to have many law enforcement officers as patients. On Monday, Marietta Police Department Chief Flynn announced the promotion of three officers including one of his patients, Sgt. Gretchen Ingram. Sgt. Ingram has been an officer with the Marietta Police Department for 18 years. She has been a patrol officer and has had many other responsibilities including Field Training Officer, Gang Resistance Education and Training Officer, School Resource Officer, Community Response Unit, Investigative Services, Honor Guard and member of the Critical Response Team. She is a member of the Metro Atlanta Child Exploitation Child Task Force and the Internet Crimes Against Children Task Force. Sgt Ingram was instrumental in bringing the RADkids and RADwomen’s programs to Marietta. On behalf of my entire team at Gilreath Family Dentistry, I’d like to congratulate Gretchen and thank her for all her service to our community, and in particular, thank her for the work she has done to make our children safer against internet exploitation and crime.